The Fall 2018 edition of "Less is More" starts next week Oct 25. Spots are filling fast! This series is appropriate for people taking it for the first time AND for people coming back. Like a classical painting or a classic recipe, the ingredients for a memorable dance are few and simple; but the mastery of those details allow one to improvise and create such an experience time and again, even on crowded dance floors. Rolling, Dissociation and Alterations (Weeks 1 through 4) - The tango embrace has many positions (that are not commonly explored). Each of these positions present a myriad of possibilities and come with unique challenges. We will explore the technique of rolling and disassociation - the two most essential components for achieving a comfortable connection in the various positions of the tango embrace. Alterations (aka "Changes of direction") are a great tool for improvising and dancing in tight spaces. Weeks 1 through 4, we will train in better technique and apply it to the most classic elements of social tango, working our way from mastery of “the basic” to excellent execution of turns with sacadas. Milonga! 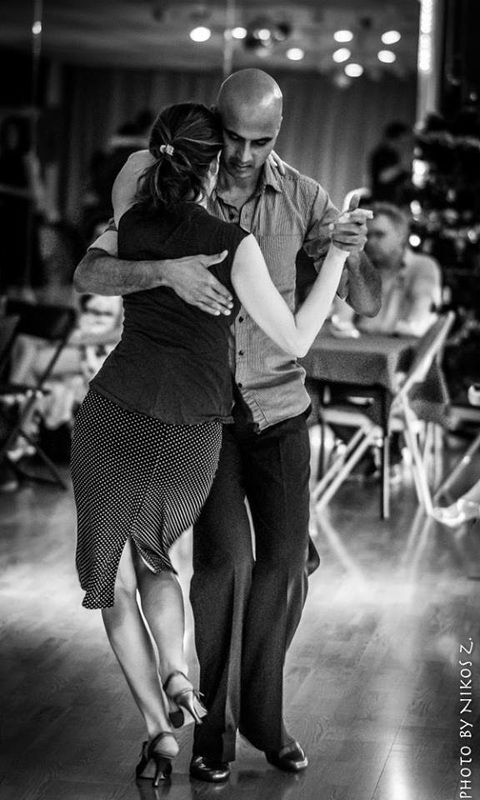 (Weeks 5 & 6) - Milonga is the most lighthearted of the three musical genres of tango. Yet, it is the most intimidating of the three genres. We will start with some very basic exercises in rhythm to over come that fear and work our way to some exhilaratingly musical sequences that work great on the social floor. Whether you fear milonga, or you love it, these two classes will have something for dancers of all levels. Come prepared to be challenged and work hard! October 25th - December 6th. 7:30-9:30pm. Balance Gym, 1339 Green Ct NW, Washington, DC 20005. 4th floor. Pre-registration is required for this series. *To qualify for this series, participants must have attended weekly tango classes for a minimum of 6 months and taken the Tango Mercurio Advanced Beginner "Tango Essentials" 6-week series at least twice. Pre-registration ONLY (no drop-ins). Roles will be balanced. (If you plan on taking the series in the non-traditional role, please email us at info@tangomercurio.org so we can ensure balance). To learn about Ramu and Simone, see our Instructors page.